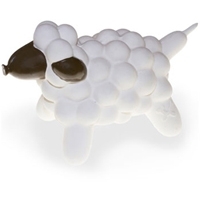 Extra durable, long lasting latex. 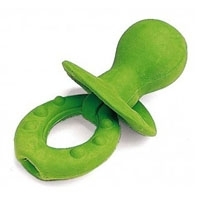 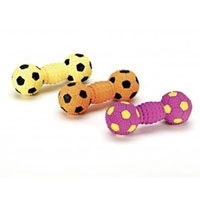 Sized right for teething pups and small dogs. 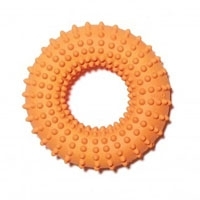 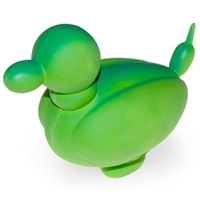 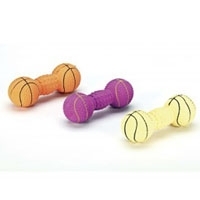 Latex Basketball Dumbbell is fiber filled and comes in assorted colors. 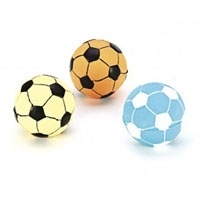 Latex soccer ball is fiber filled and comes in assorted colors. 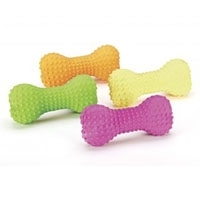 Latex Bone is fiber filled and comes in assorted colors.